We made your Mercedes-Benz the superior vehicle it is today and at Vin Devers Autohaus of Sylvania we want to ensure it remains that way – whether it’s taken you 10,000 miles or 100,000 miles. That’s why we offer Mercedes-Benz Service and Repair, so you have access to the latest specialized technology and precise analysis from Mercedes-Benz trained technicians who undergo regular, frequent training so they’re always up-to-date on every component of your vehicle. 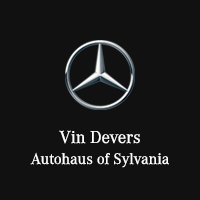 By bringing your Mercedes-Benz vehicle to Vin Devers Autohaus of Sylvania for all your service and repair needs, from regularly scheduled appointments to major repairs, you can count on a continued driving experience unlike any other – for every single mile of your lease or ownership. Mercedes-Benz understands that your time is precious. That’s why many authorized Mercedes-Benz Dealerships offer Express Service – routine maintenance performed on your vehicle in two hours or less, on a day and at a time that is most convenient for you. Come in to any Mercedes-Benz Express Service Dealership and leave with more time for the rest of your day. All of the above come standard with Express Service and no appointment is necessary. Contact our service team in Sylvania to find out if Vin Devers Autohaus of Sylvania can offer Express Service. When you service your Mercedes-Benz vehicle with Vin Devers, you will experience the #DeversDifference. Since we opened our doors in 1956 as a family owned business, Vin Devers Autohaus in Sylvania, OH has maintained a unique reputation thanks to our focus on providing customers with the best car buying experience, but the Devers Difference goes beyond the sale. We make every effort to deliver the experience after purchase by treating our customers they way we want to be treated, like family.